Turkish Airlines began on Friday to offer laptop computers to business-class passengers on U.K.-bound flights from Istanbul Ataturk Airport. The service was made available to passengers on a Manchester-bound flight early on Friday. 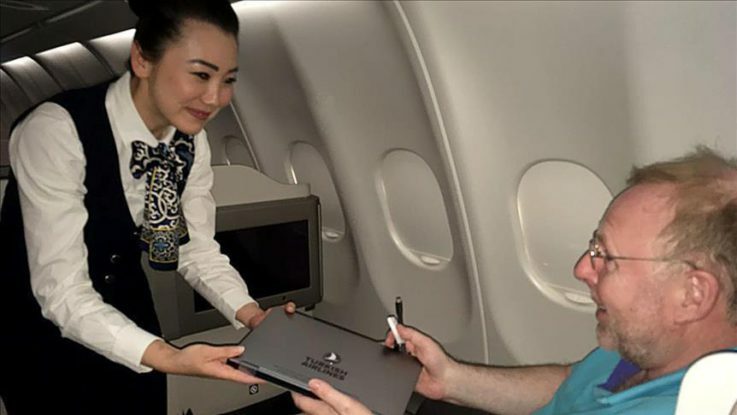 Business-class passengers will hand over their laptops to a Turkish Airlines employee and request a computer from the cabin crew to use in-flight. The move is an attempt to deal with a U.S. and British ban on in-cabin laptop use on flights departing from several airports in the Middle East, North Africa and Turkey. Turkey’s flag-carrier previously introduced a similar service for U.S.-bound customers. Britain introduced the measures on March 21 to cover tablets, laptops and some cellphones, echoing the U.S. Department of Homeland Security. Turkish Airlines’ dual-functionality devices can be used as both a laptop and a touchscreen tablet. Passengers will be able to save their personal information on a USB memory stick. All personal data will be deleted after the device is shut down to protect users’ privacy. Friday’s move follows calls from the EU for urgent talks with the U.S. over its policy. This comes amid media reports claiming the U.S. is considering extending the technology restrictions.